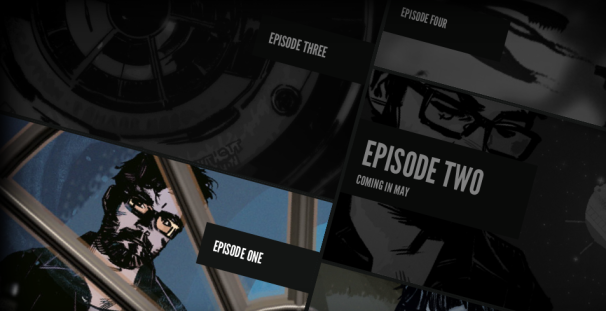 Enlisted by Microsoft in support of the release of Internet Explorer 9, filmmaker Edgar Wright has teamed up with illustrator Tommy Lee Edwards to create a new interactive web series entitled The Random Adventures of Brandon Generator. And when they say random, they mean it. The British filmmaker, best known for his collaborations with Simon Pegg and Nick Frost in such films as Shaun of the Dead and Hot Fuzz, says the project “puts you center stage as you help shape this interactive noir-inspired series.” Intrigued yet? In all, the project is stylishly executed, and the HTML5 interface does indeed flow seamlessly when using IE9, as well as other modern browsers. With the remaining three episodes set to be periodically released until June, we should soon get a better idea of what exactly Wright has planned for the rest of the series, and if he’s got any other tricks up his sleeve.